If you have an office you want to decorate it in a great manner. If you want to make your office a great workplace, your office should be decorated tastefully. For this, you can make use of some office decorating ideas. Another way to décor your office greatly is to hire professional decorating services. A number of companies offer this service for business companies and organizations. You can hire such services and décor your office according to your need. Wall painting color is an important aspect to consider. You should choose light colors for your office walls. 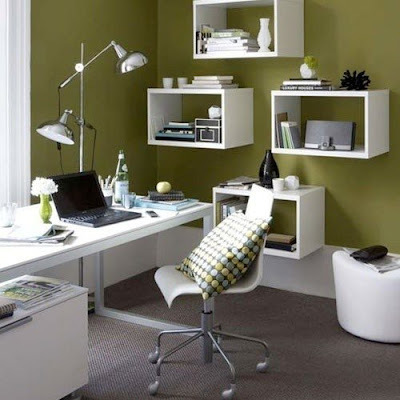 This is because if you choose dark colors then this will make your office rooms looks smaller than its original size. Try colors in light shades like beige, pale blue, bluish grey, pale green etc. You can also decorate the walls with paintings, photographs or murals. Don’t use too many paintings or pictures because this will make the wall appear crowded. Getting a wall mural painted is also a good idea. It is better to use desks with shelves and cubbies that choosing large desks and humongous book shelves. This will give you additional space for storing the things. You can use a shelf with moderate size in one side of the room and this can be used to stack reference books or books that you enjoy frequently. Make sure your office furniture match each other and the décor of the room. If you choose furniture randomly it looks uneven. Hence choose an even model and even sized furniture. Place the furniture away from the door as it gives an impression of space. You have to concentrate more on the lightings in your office. Don’t choose dim lightings and use fluorescent lights. Also, don’t choose floor lamps and lamp stands as it occupies more space. Also, choose a room with a big window that allows the sunlight to come into the room. If you find it difficult to do all these things, it is better to hire an interior designing company. Interior designing companies have professional interior designers those who are experts in decorating the office. You can also use your family photos or some other memorable photos on your desk. You can use some decorative plants in your office especially in the reception and in the conference room. You can also place some flowers like small potted flowers or a vase with flowers in the reception and these things will give your visitors a good impression. Keep in mind that the working environment affects the concentration and the quality of the works. Therefore, choose decorating ideas according to this. These ideas will help you in decorating your office in a great manner. With the help of these ideas, you can decorate your office in the best possible way.